Digital photography with a real camera is still a thing, despite the belief that everyone now only takes photos with their smartphone. While it’s true that smartphone photography is more convenient and easily accessible, I still believe that it can not take the place of a good, dedicated shooter. Sure it might be a hassle sometimes carrying around all that equipment as opposed to just carrying around a smartphone, but hey, that’s what camera bags are for. While camera bags come in all different sizes and shapes, not all camera bags are created equally and not all are created with style in mind. 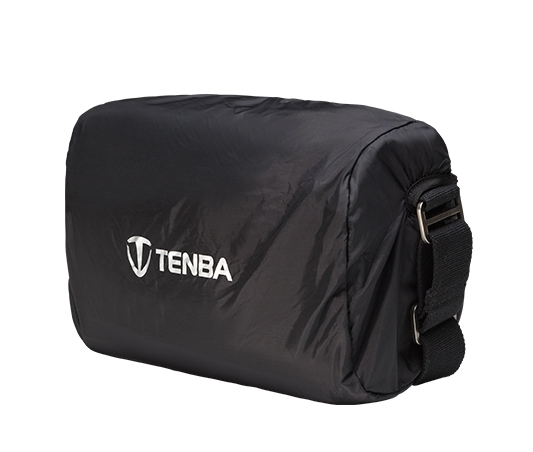 There are many functional bags out there, but not many can look as fashionable as the Tenba Cooper Series bags. 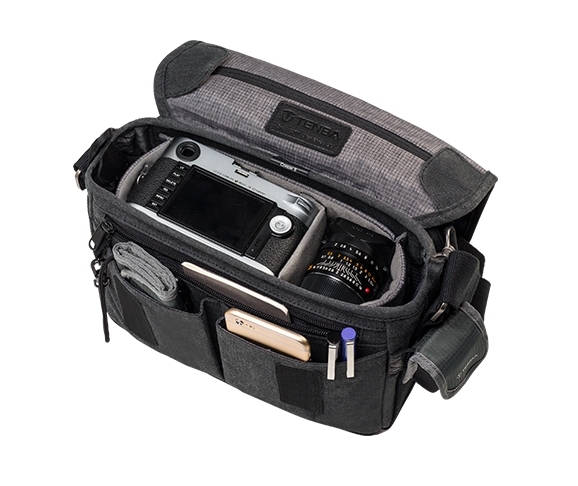 For this review, I’ll be taking a look at the Tenba Cooper 8, the smallest of the Cooper bags that is still large enough to hold your mirrorless camera, a few lenses, and an iPad mini, with room to spare for additional accessories. Looks that blow away most of the competition. I’ve used my share of photography slings, backpacks, and shoulder bags and none of them have looked as good as this Tenba Cooper 8. The main reason for this is that the Tenba Cooper 8 uses a generous amount of peach-wax cotton canvas and full-grain leather as well as real metal parts. The materials feel very high quality too with the canvas being soft and durable with a water-repellent PU coating. 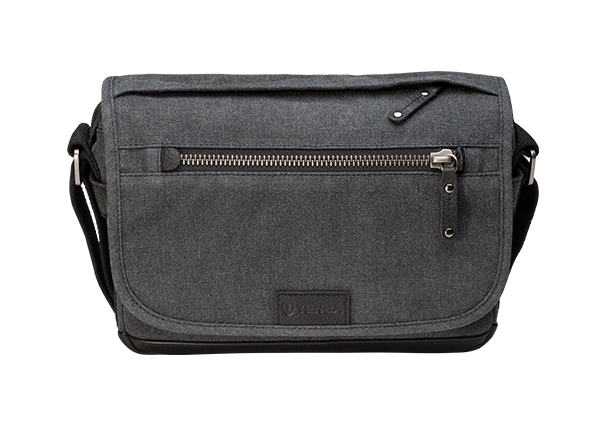 I also like the fact that the color of the bag is a dark grey and not your standard black. 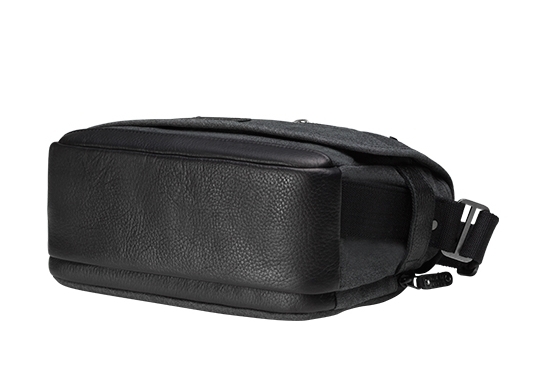 There are too many camera bags out there that are just plain black and don’t stand out. The Tenba Cooper 8 however looks great with the grey/black combo. It adds a level of luxury and class that I don’t think you get with other all black bags. A lot of the other bags just look too utilitarian compared to the Cooper 8. Fit and finish on the Tenba Cooper 8 is also excellent. You’ll be hard pressed to find a thread that is out of place or a misaligned piece of fabric. Everything on this bag is top notch and it shows. Take for instance the removable canvas shoulder pad. They could have just left it like this but instead also added small silicone non-slip dots on the underside so it grips to your shoulder when in use. Or look at the quiet Velcro closure that allows you to quietly open the flap. This is something I’ve never seen on any other bag. Even the leather zipper pulls have been stitched and riveted which isn’t something they needed to do, but they did. It’s little things like that that make the Tenba Cooper 8 special. Compact, but perfect for mirrorless camera owners. The version of the Tenba Cooper I picked up is the Cooper 8. 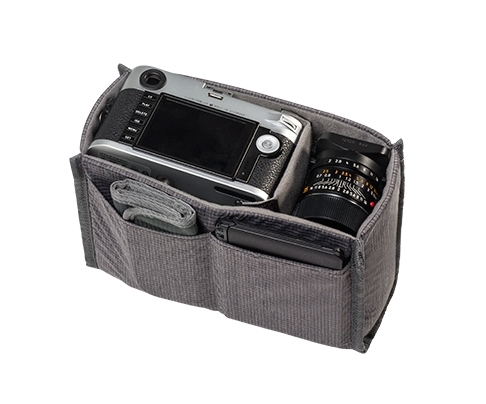 This is the smallest of the Cooper bags and is meant for those running mirrorless cameras and not those with a DSLR. 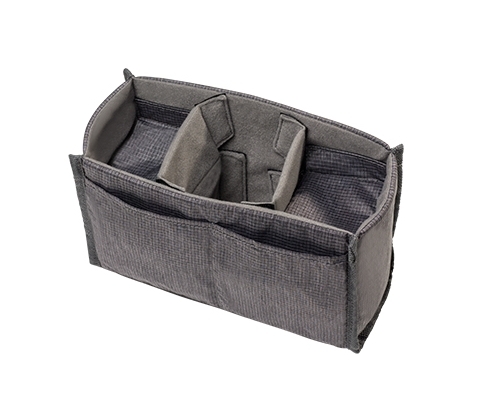 The inside of the bag includes padded dividers can can be configured in a myriad of ways depending on what you need to hold. In my case, I was able to fit my Olympus OM-D E-10 Mark II no problem with the lens attached along with a couple extra lenses. Just to see what else it could fit, I was also able to carry my iPad mini in the back pocket, my backup smartphone in the pocket on the flap, some extra lens filters in the inside pockets, and the monstrous charger for the camera itself. All of that stuff and there was still room left over for other items. Pocket, pockets, and more pockets. You can never have enough pockets and the Tenba Cooper 8 has plenty of them. I counted no less than 6 storage spaces and additional ones if you include the padded camera insert, which adds an addition two plus whatever you configure the dividers for. That’s a lot of pockets for a small camera bag. 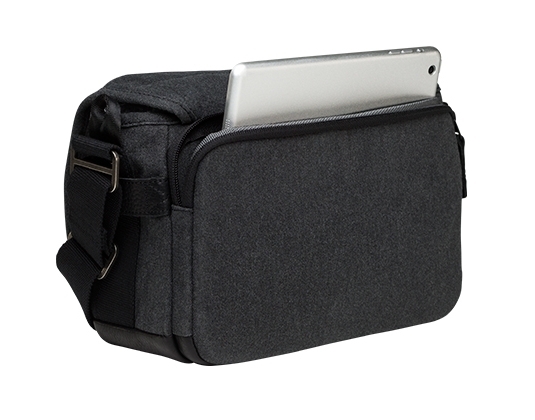 On the back, you get a large padded and zipper enclosed pocket that is meant to hold your iPad mini or any small tablet. The bag flap also has a zipper pocket that can be used to hold your smartphone or anything else you might want to get to quickly. The zipper keeps it secure and safe. 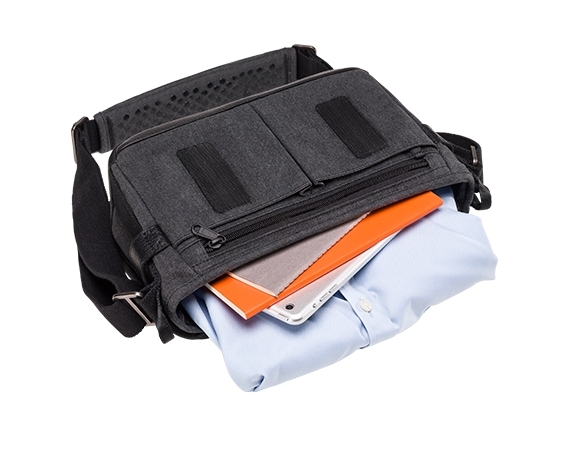 If you lift up the flap, you’ll find another additional zipper pocket for maybe some accessories or manuals and in front of that are two open pockets that can be used to hold additional accessories. Like I mentioned above, the main compartment is fairly large and can swallow up quite a good amount of gear. Additional pockets are located in here if you use the padded camera insert. If not, you just get one large compartment for holding whatever. Speaking of which, most camera bags have this open when you have the flap open. 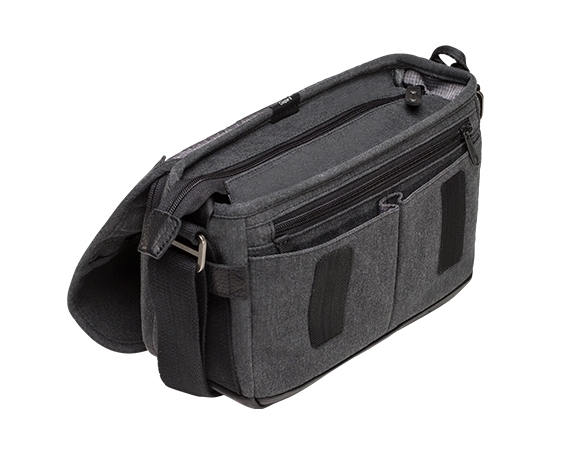 Tenba in their wisdom included and extra level of security and also made the compartment zippered. This makes the bag incredibly secure and much harder for thieves to get at your stuff. You don’t even have to use it as a camera bag. 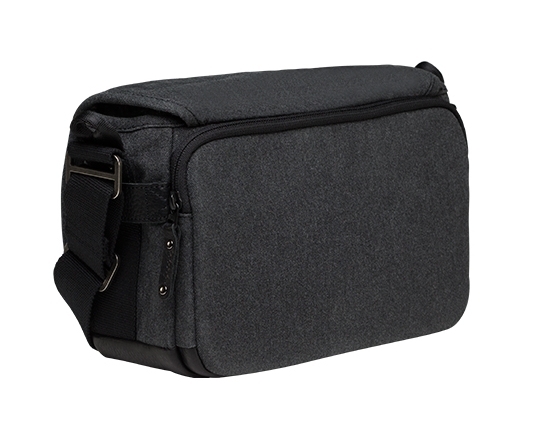 While the Tenba Cooper 8 and all the other Cooper series bags are meant to be camera bags, you don’t have to use them as camera bags if you don’t want. That’s because the padded camera inserts are fully removable creating quite a cavernous space for other items you might want to carry instead. Like if you wanted to carry some books with you instead or maybe some headphones or a portable speaker, or whatever else. You can do that an aren’t just limited to carrying around photo equipment. You can also do this because the Cooper 8 doesn’t just look like your average camera bag. This thing could be mistaken for a small messenger bag or shoulder bag and that’s what’s great about it. 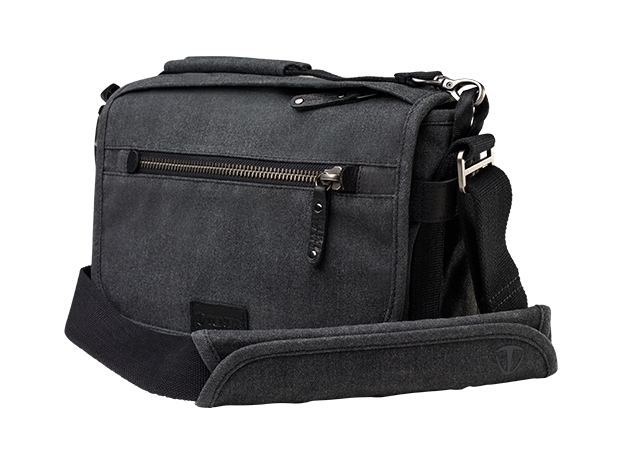 This makes the Tenba Cooper 8 quite versatile, more versatile than other bags that can only be used as a camera bag. If you spared no expense for your camera equipment, shouldn’t you do the same for the bag that holds it all? I’ve used many other camera bags before and while they were all pretty good, none of them have looked as good as the Tenba Cooper 8 does. The materials alone make this such a classy looking bag that fashion conscious photographers will have no trouble falling in love with this. 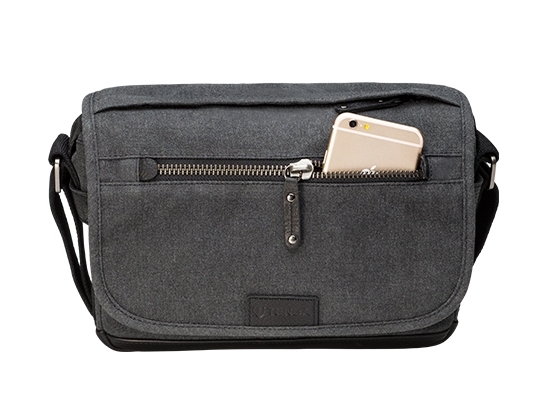 Aside from its good looks, the bag has many features you’ll enjoy. The many pockets are a welcome feature along with little things like the quiet Velcro operation, interior zippered main compartment, durable leather base, configurable and removable padded camera inserts, and the included waterproof rain cover. These are all welcome features that make the Tenba Cooper 8 one of the most perfect camera bags I’ve ever used. The Tenba Cooper 8 goes for $169.95 and if you need something a bit larger, Tenba also offers the Cooper 13 and Cooper 15 for DSLR cameras.